Peggy Jean Tudor Jones, 81, of Fuquay-Varina, died Thursday, December 28, 2017 at Barbour Court Nursing and Rehab in Smithfield, NC. Peggy was born in Fuquay-Varina on June 23, 1936 to the late Worth and Georgia Taylor Tudor. She graduated from Lafayette High School and was a member of Piney Grove Baptist Church. 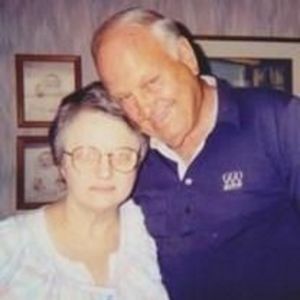 Peggy was preceded in death by her husband, Bennie Sherrill Jones, Sr., her parents, Worth, Georgia and several brothers, WB, Charles, Sammy, Larry. She is survived by her daughter, Donna Jones Willis and husband, Ron of Fuquay Varina; son, Bennie Sherrill Jones, Jr. and husband, Chip Forester of Alabama; grandson, Jeremy Roberts and wife, Christy, children, Bailey and Channing of Fuquay Varina and grandson, Jason Roberts and wife, Sara, children, Jake and Wyatt of Fuquay Varina; brothers, Conrad Tudor and Marty Tudor and many nieces, nephews, friends and lots of family (Tudor and Jones). A funeral service will be held 11am Wednesday, January 3, 2018 at Apex Funeral Home Chapel, 550 W. Williams Street, Apex, NC 27502. Burial will follow the service at Greenlawn Memorial Gardens in Fuquay Varina. The family will receive friends 10am-11am prior to the service at the funeral home.